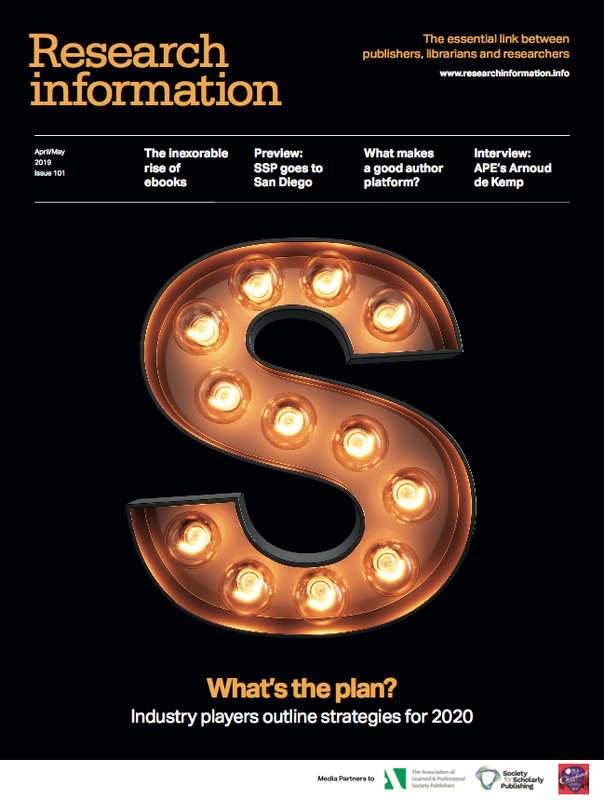 In February, Arnaud Nourry, chief executive of France-based publisher, Hachette, labelled e-books ‘stupid’. In the furore that followed, indignant internet pundits called Nourry ignorant, as author and journalist, Erin Kelly, wrote about how the e-book had ‘changed my life’. Like them or loathe them, e-books are here to stay. As digital book products proliferate – for better or worse – and formatting standards evolve, scholarly publishers agree downloads are on the up. 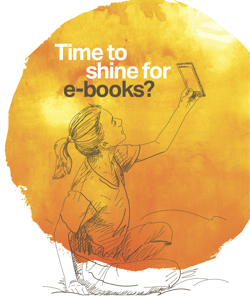 Niels Peter Thomas, chief book strategist at Springer Nature, for one, believes the future of e-books is promising. Late last year, the company extended the scope of its Bookmetrix platform – developed in partnership with metrics provider, Altmetric – to benchmark its e-book collections. In a bid to provide data on the quality and impact of different collections for authors, readers and librarians, the company also developed a new metric, ‘Collection Citation Performance’. This is analogous to the impact factor generated for a journal, and the latest insight is, as Thomas puts it, ‘quite impressive’. In a similar vein and since launching its collection of 29 e-books in 2013, the Institute of Physics Publishing has seen significant uptake of its titles. Today, it hosts around 225 e-books and covers a vast range of physics-related fields from classic mechanics and climate change resilience, to extragalactic astrophysics and quantum computing. According to Callum Mackay, e-books product manager for IOP e-books, downloads of full packages have, on average, doubled every year since 2014, with full-pack downloads totalling 1.5 million, which equates to 7,000 downloads per e-book. Both IOP Publishing and Springer Nature are seeing e-book take-up from customers worldwide that have Internet access, and over time, each is seeing more and more e-books accessed via mobile phones. Indeed, Mackay reports the number of e-book page views on mobile devices to have doubled in the last year. Executive director of US-based Book Industry Study Group, BISG, Brian O’Leary, echoes these sentiments, and in his words, ‘is not a fan of DRM’. But not everyone agrees, with ProQuest, for example, taking a different tack on DRM. In March 2016, the organisation launched Ebook Central with the then senior vice president and general manager, Kevin Sayar, saying: ‘We’re delivering on a promise we made to librarians to boost the power of e-books for research.’ From the word go, the organisation has not adhered to a DRM-free policy, but developments are taking place. With myriad updates to keyboard navigation, screen reader support and more, being made, the organisation is also improving access to DRM-free chapter downloads. But as industry players iron out conflicting DRM interests, e-book formatting continues to burn many. While some scholarly publishers now provide e-books in relatively sophisticated EPUB formats, as well as ensuring titles can be read on e-book readers, PDFs are still widely used. Right now the BISG executive director is seeing more and more organisations creating content using older versions of EPUB. And like many in scholarly publishing, he is confident that once embraced, EPUB3 will prove instrumental to future e-book formats and driving institutional sales of e-books. ‘There is not a lot of satisfaction with PDFs, and while there are some things you can do with a PDF to make it more acceptable on a tablet, there’s nothing really that can be done to make a PDF accessible to read on a smartphone,’ he says. ‘Anyone buying scholarly work is going to increasingly want, say, a reflowable format and that’s what EPUB supports. ‘Importantly, EPUB3 can better support interactivity and related multimedia features, than, say EPUB2, and is a much more flexible format,’ he adds. As EPUB formats proliferate and more multimedia features ensue, the search for new reading experiences continues. For example, late last year, Springer Nature launched a one-year ‘social reading’ pilot with PaperHive, a provider of a platform that enables citable in-document discussions of academic texts. By incorporating annotation, group conversation and sharing tools within its e-books, the publisher hopes to increase reader engagement with academic literature in a range of fields, including biomedicine, physics and chemistry. In recent months, the company has also been collaborating with Federica Weblearning, a supplier of free distance learning multimedia courses. Together, the partners are providing authors, lecturers and students with MOOCs – Massive Open Online Courses – on a particular topic, alongside a book. Scheduled for release in 2019, the first MOOC-book combination will be two text books, based on online courses about robotics. The books will provide overviews on this field, while being linked to the relevant MOOC, and will also feature multimedia content, including videos and augmented reality, that can be accessed via a PC or mobile device. Crucially, links within both the e-book and its print version will take readers directly to, say, a video, figure, photo or Powerpoint slide. To support this, Springer Nature recently acquired Germany-based online e-learning and MOOCs platform iversity, which also supports more than 100 universities and educational institutes and companies. Interestingly, as Thomas also points out, many of Springer Nature’s current e-book users don’t necessarily know when they are actually reading content from an e-book. For example, a researcher interested in a concept or an explanation may reach content from a search engine, read the relevant text, but not be interested in its broader context. But features and pilot projects aside, Springer Nature is also carrying out fundamental research into how its readers actually read books and e-books. According to Thomas, one project is investigating what actually happens to the brain while reading. The book strategist cannot yet discuss a specific outcome, but one year in and with two more years to go, first results are interesting. For example, output so far indicates that our brains find it easier to understand and remember complex information if the position of what is being read, is fixed in space. Springer Nature is hardly alone in its curiosity of how screen-reading, rather than paper-book reading, affects the reader. In 2013, Scientific American had already examined the wisdom of reading on a screen, and several years and hundreds of e-book reader applications later, the question remains. Last year, Caroline Myrberg, a librarian at Karolinska Institutet University Library published a paper in UKSG’s Insights called ‘Why doesn’t everyone love reading e-books?’. She has noticed that her students still preferred paper books to e-books and went on to highlight problems around downloading DRM-protected e-books, inadequate tools for highlighting and annotating online text, as well as confusing e-book reader applications that do not easily translate between devices. Based on her observations and past studies, she reckons e-books should be as book-like as possible, and should also be read on a screen that can display enough content while having a font size that is large enough to be legible. Given the burgeoning research, Springer Nature, for one, is considering new ways to read e-books. ‘We should really start thinking how we can consume complex matters in the electronics world, in a way that’s really compatible with how our brains work,’ says Thomas. And while research suggests in many scenarios, our brains are hard-wired to better cope with printed text, Thomas is certain new electronic formats exist that will benefit the brain as well. He points to a virtual reality environment where the reader can see many more pages at a time, than can be looked at in a regular book. So, given Thomas’s clear confidence in the e-book, coupled with industry-wide digital developments and a better understanding of user needs, the future for e-books looks solid. But what of Arnaud Nourry’s conflicting criticism?